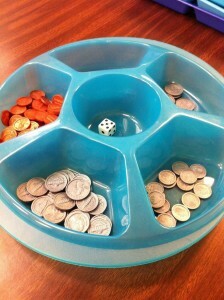 Because we recognize that sometimes, as Money Game Instructors, you have plenty of time to spread the rounds and lessons over several class or session periods and sometimes you are given an hour and have to squeeze as much education and experience into that time as you can, we’ve designed a couple of different types of Set Up Activities for you to use with The Money Game. Reminder: we always use the accepted style of writing using the words ‘him’ and ‘he’ in our articles rather than him/her or he/she which just gets confusing after a while. We’ve also provided you with some basic conversation points we have with all of our players about working Monday through Friday and what we say about those points. Ask the employee, “So, how do you feel about some of the work you’re being asked to do? Does it feel pointless sometimes?” The point is to get them to want to be the boss instead of the employee all while not making them think there is anything wrong with being an employee, because there certainly isn’t. It’s a subtle suggestion leading to the investing in asset of building a business later on in the game. When it’s Friday (5th session of work), ask the player the same question you asked about Wednesday, this time it’s TGIF (thank goodness it’s Friday). Same exact point. Ask them if people usually get paid at the end of each week? This is a where you can talk about the different ways people do get paid: daily (day workers), weekly, bi-weekly, monthly, hourly, salary, commission. Ask who has a job already and how they get paid. Directions: Ask for one volunteer. Explain that you are now his employer. Walk him through the set up activity scenario where you have them do 5 days’ worth of ‘work’ for you in order to get their paycheck. You still have the same conversations listed above about working Monday through Friday, you just do it with one person running around being active instead of the entire group. Doing the set up activity this way is by far the quickest and easiest (and most peaceful:-) method of getting to the actual rounds of the game…especially if you have a very unruly, vocal group of kids or teens (or adults for that matter). Shortcut…if you need it even shorter, you can skip ahead two days to Wednesday and again to Friday, skipping Tuesday and Thursday altogether. The Long Version: Use when you have less than 30 players and you have their attention and good control over them. The long version is written out in detail in the Instructional Manual so please review and yell if you have any questions. The most challenging part about the long/original version is quieting the players down between work days to discuss the talking points above. The best thing is that they all get to experience the activity and they are all engaged because they are active and it’s a log more fun. Either way, they get the points and you then move on with Round One!